A topical non-prescription formula with a non-hydroquinone skin brightener containing arbutin and antioxidants to help reduce the appearance of age and sun spots. 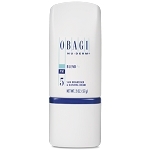 When I started using this product, it worked immediately on lightening my dark spots. It was amazing. They are not completely, but they are barely visible. I have not had this result from any other product I tried. I now use it on occasion to keep the spots diminished. Apply to entire face morning and evening (avoiding eyelids) extending to the hairline, over the ears and ending with a feathering motion from the jaw line down the neck. 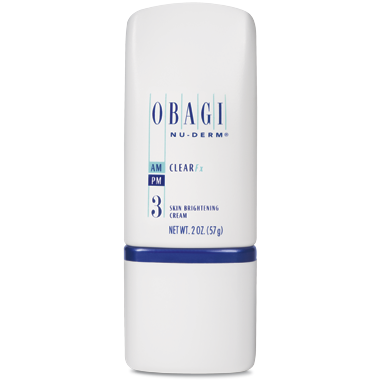 A second coat of Obagi Nu-Derm Clear can be applied over darker pigmented lesions. Product can be used in the morning and evening. Water, Arbutin, Cetyl Alcohol, Glycerin, Sodium Lauryl Sulfate, Stearyl Alcohol, Tocopheryl Acetate (vitamin E), Ascorbic Acid, Saponins, Sodium Metabisulfite, BHT, Lactic Acid, Disodium EDTA, Butylparaben, Methylparaben, Propylparaben.